Important information for those who say I want to go to Russia, I want to make touristic travel to Russia, How can I go to Russia with touristic visa, take absolutely into consideration. Russia tourist visa is the cheapest and fastest taken visa type. This visa type is recommended to those that will make a short time travel. 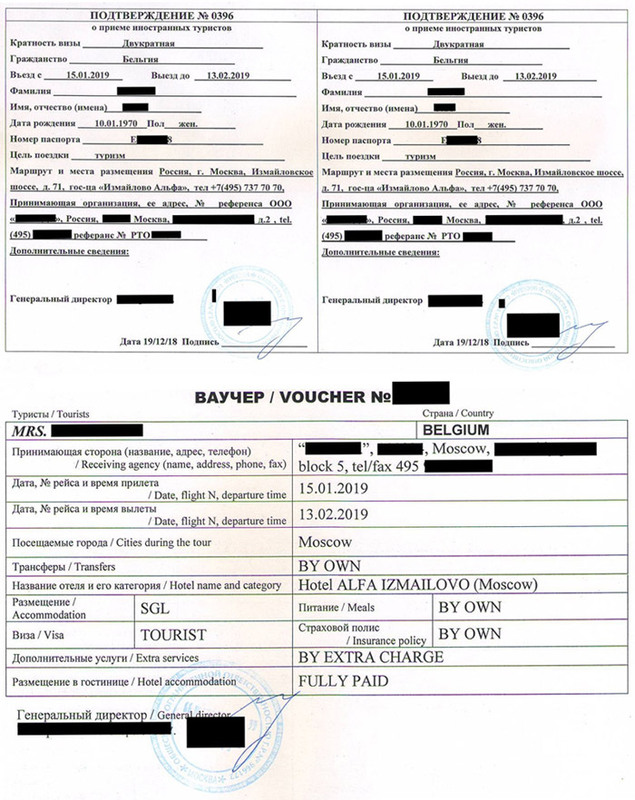 Tourist visa is not only for touristic purpose, at the same time it can enable you to come to Russia as touristic visa type for which we say tourism with a purpose such as participating to fairs, conference, business meetings with short time, getting inspected by the doctor in hospital. Most advantageous part of taking tourist visa is that you can organize your Russia travel in 2-3 days. Russia can give touristic visa to foreign country citizens up to 30 days. If you have made entry with 30 days of visa, you should exit from Russia latest on 30. day, if you stayed to 31.day your exit from Russia is only possible with taking Russia exit Visa. Absolutely don’t exceed the day of your visa, otherwise your exit will be more difficult than your entry. Registration: If you made an entry to Russia with touristic visa you should be registered in 7 working days. Those who are not registered, will face administrative punishment, to those who has this punishment two times in a year, it is imposed an entry ban to Russia for between 3 and 5 years. Contact for registry. May I use tourist visa for travelling alone namely without taking touristic tour? Touristic visa is not only for tourism purpose, it enables you, also, to travel to Russia for participating to business meetings or for visiting your Russian relative and friends. But the official purpose of your visit should be tourism. In order to take tourist visa, you will need an invitation letter which proves you have needed hotel reservation which is needed for consulate, contains all the information regarding travel, which is given by tourism department, by licensed companies. Our Russian Tourism company can help you in getting of such invitation letter and you don’t need to make hotel reservation for it. It will be provided by us. Should I give the exact date of my travel or is it ok if a give approximate dates when I give the order of Taking of Russian Touristic Visa? You should state exact date of beginning and ending of visa dates; But you can travel to Russia anytime during this period. We recommend you to state maximum validity period-30 days. Please don’t forget that your Russia touristic visa is valid only for the exact dates. Therefore you can’t enter to country before the visa beginning date, you can’t exceed its validity. Can I get a new visa before I depart from Russia, namely while I was in Russia? You can’t absolutely get, you should leave Russia before your valid visa is not over in order to get a new visa by Russian consulate. Apply to us in order to get Russian Touristic Visa.